Today I'm happy to be hosting the next stop on the Zero Repeat Forever blog tour, organized by the lovely ladies of Simon Teen. 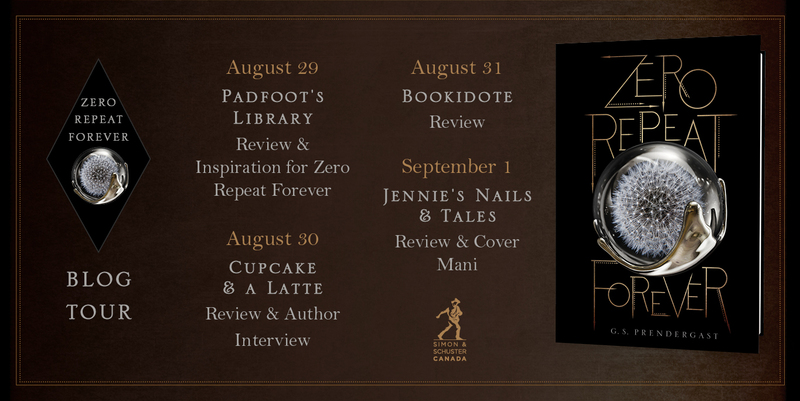 For my stop I'll be sharing my glowing review on Gabrielle Prendergast's Zero Repeat Forever and a short Q/A! 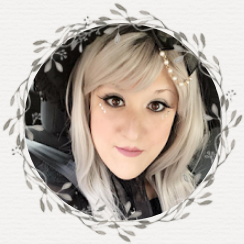 Be sure to check it all out right below, and continue to follow the blog tour for more fantastic reviews, guest posts, and excerpts! I'm not typically big on reading science fiction. It's typically a genre that has me running away in fear it'll disappoint, only due to the fact that I have been disappointed many times in the past by YA sci-fi titles. With that said, something about the premise of Zero Repeat Forever beckoned me to read it, and I certainly was not disappointed. Zero Repeat Forever by Gabrielle Prendergast felt very Rick Yancey's 5th Wave-ish, but with a twist. Raven, our 16 year old protagonist, finds herself amidst total chaos. While at summer camp, the Nahx begin to invade earth, destroying civilization as we knew it and taking control of planet Earth. Stuck in the middle of nowhere, Raven and her friends must find shelter and learn to survive during this dire time, that is until her boyfriend is killed by a Nahx, and she then finds herself completely helpless and unsure of what to do. Overall, I really loved Raven. She wasn't the first character to truly captivate me in Zero Repeat Forever; I leave that to the wonderful Eighth, however she was a character I slowly grew to respect and enjoy. Raven faces many stigmas in the world, and in society, prior to the Nahx invasion, so seeing her cope with all that AND learn to become a strong and cunning survivor was absolutely incredible. Furthermore, as I mentioned earlier, Eighth completely captivated me right from the beginning. He was lovable, in an odd way, and I was far more captivated with what was going on with him than with anyone else. Together, both Raven and Eighth's dialogue made a winning combination, and I'm glad to say that Gabrielle Prendergast certainly created a showstopper with the duo. All in all, Zero Repeat Forever was a mind blowing experience. It was slow paced but intense. Fear leaped from it's pages, and I cringed and hoped along with all of it's characters. Even through all that, it wasn't until I hit the very last page, when I started demanding the next installment in the Nahx series miraculously land in my lap. If only! 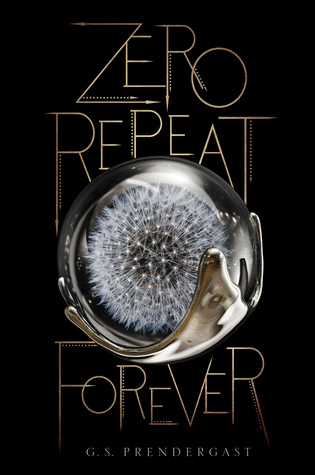 YA fans - Zero Repeat Forever is a must read. Patience is key with the title, as it does take time for the tale to unravel to it's peak moments, however it becomes oh-so wonderful and addicting in the end. Q. The world we find in Zero Repeat Forever is certainly a unique one. What was your world building process? A. Because Zero Repeat Forever is a near future Earth set science fiction a lot of the world building relied on extrapolating from our current world and how it might change in the circumstances of a major disaster. So the main grid power is off, for example. How would people cook, bathe or heat homes? The power grid was knocked out with an electro magnetic pulse (an almost sure point of attack if aliens ever DO invade) so that would also knock out computers, many cars etc because of their electronic components. Much of the human side of the world building therefore relies on showing humans using older technology - communications by radio or landlines rather than satellite, overland travel, geothermal heating, solar power etc. For the Nahx world building, we learn so little about their world because Eighth knows so little, that most of the world building was very much about the Nahx themselves. How does their armour work? Their weapons? Their hierarchy? How much do they know about their species? About humans? Their language was particularly important to get right. It's intentionally much simpler that ASL or any other sign language used by the Deaf. That simplicity of language (and therefore thought) was imposed on them to make them better soldiers. But they rail against that because they are thinking living beings. Q. Raven faces many stigmas in her own world. How important was it to include a character from a world so different, which has gone through so much chaos, but whom could still be relatable? A. Raven needed to be very tough to survive the attacks, both physically a skilled fighter, but also mentally stubborn and a bit of a risk taker. She's put into a situation with the invasion where a lot of people might just give up, but she doesn't. So I wanted her to have some experience with frustration and unfairness that help her to develop the determination she needs. Also, she needed to not be so in love with the human world that she's unable to forgive a Nahx for being part of its destruction. There needed to be some ambivalence not so much about whose side she's on but about the very idea of "sides". She's a person for whom personal relationships are more important than group membership because she's a member of several different (and sometimes conflicting) groups, and has also been excluded from some groups. Q. Playing Favorites: who was your favorite character to write? A. I loved writing Eighth because he's so sweet and clueless, while still being a bit wild and untamed. Through him I could explore some aspects of humanity that are either admirable or illogical or just odd. Readers describe him as "pure" and I agree with that. He does some terrible things but also some beautiful things. That was fun.